Bharat Sanchar Nigam Limited (BSNL) has narrowed its losses to Rs 4,785 crore during FY18, even as its income declined to Rs 27,818 crore as against the previous fiscal. Telecom Minister, Manoj Sinha informed this news to Parliament today. 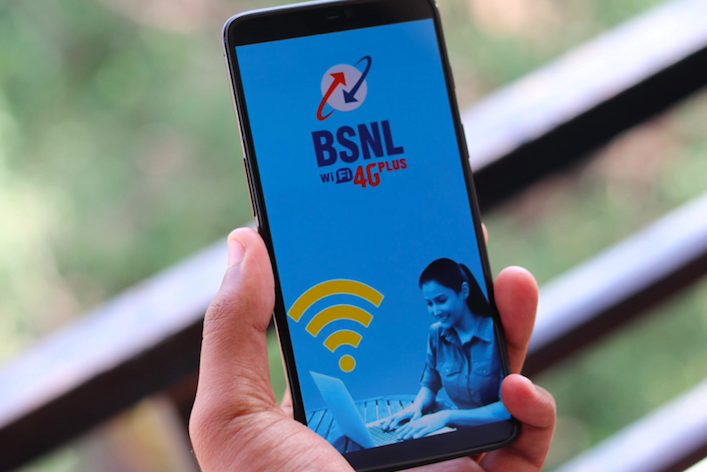 BSNL posted a loss of Rs 4,859 crore in 2015-16, Rs 4,786 crore in 2016-17 and Rs 4,785 crore (provisional and unaudited) in 2017-18, Telecom Minister Manoj Sinha said in a written reply to the Lok Sabha. Furthermore, BSNL’s income stood at Rs 32,411 crore (FY16), Rs 31,533 crore (FY17) and Rs 27,818 crore in FY18 (provisional and unaudited), Sinha added. Since BSNL has incurred losses consecutively for the last three years, it has been declared as ‘Incipient Sick’ as per the guidelines of Department of Public Enterprises (DPE), the minister said. This news was reported by Press Trust of India (PTI). Accordingly, action has been initiated by the Department of Telecommunications (DoT) for preparation of revival/restructuring plan of BSNL, Manoj Sinha further added. Moving onto another state-run telecom firm, Mahanagar Telephone Nigam Limited (MTNL), it reported a loss of Rs 2,971 crore in FY18. This was against a similar amount in FY17 and Rs 2,006 crore in FY16. The company, which has operations in Delhi and Mumbai, saw its income declining to Rs 3,116 crore in 2017-18 from Rs 3,552 crore in 2016-17 and Rs 3,513 crore in 2015-16. Sinha said at present, there is no proposal for merger of BSNL and MTNL. “For merger of BSNL and MTNL, there are various challenges/issues related to their employees, debt, properties, government share holding in MTNL etc,” he added. There have been a lot of talks in recent times regarding the merger of BSNL and MTNL, but Manoj Sinha declined this news. BSNL has been aggressively competing with private telecom firms both in the telecom sector and broadband sector, while MTNL’s lack of innovation is hurting the telco badly.